Cosmetic Dermatology Pocono Medical Care now has a new method for reducing or eliminating cellulite and stretch marks! 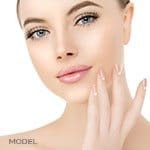 Cosmetic Dermatology Skin and Cosmetic Laser Center in Milford, PA announces that they now offer several new procedures for use in melting and removing fat, firming skin and improving the appearance of cellulite. The first of these procedures, called ProLipo, uses two lasers to liquefy and sculpt fat cells and is much less invasive than the traditional Liposuction procedure. Dr. Richard E. Buckley says “the ProLipo procedure is a fantastic option for people who want to eliminate unwanted fat, get a more toned look and address specific problem areas. The fat is gently sculpted by the laser and then removed with suction. The fatty cells are dissolved and cannot reproduce. The laser serves a double purpose in that it also tightens the skin in the treatment area, so you are less likely to have loose sagging skin where the fat has been removed.” The ProLipo procedure serves to sculpt and tone and is ideal for the patient who has thick arms, bra bulge, a paunch or rolls in the tummy area, saddle bags or thigh problems, jowls or a double chin that they want to reduce. In order to maximize results for patients, Dr. Buckley usually uses a combination of liposuction and laser lipolysis (ProLipo). The second of these procedures, called Mesotherapy, is a technique used to administer medications and vitamins to a specific area of the body. This is done by micro-injections into the mesoderm, which is the layer just beneath the skin. Dr. Buckley says “Mesotherapy may reduce the appearance of cellulite by dissolving and shrinking fat cells and improving blood flow to the area. Cellulite is actually localized pockets of fat, so Mesotherapy helps by breaking down existing fat cells.” In addition, Mesotherapy serves to dissolve the connective tissues between which fat cells protrude to produce the “cottage cheese” appearance. You can resume normal activities immediately following your Mesotherapy treatment. A third procedure that can help to reduce cellulite is called Carboxytherapy. Carbon dioxide breaks down fat cells and increases circulation and blood flow when injected under the skin. This releases fluids that are trapped in these areas, resulting in less fat and firmer skin. Dr. Buckley says “patients can experience a light tingling sensation near the treatment site which disappears almost immediately and the surrounding area may feel warmer for up to 30 minutes due to increased circulation.” Each session lasts about 15 minutes and approximately 20 sessions are needed to effectively reduce cellulite. The best results are seen when the patient receives the treatments every other day. A great way to supplement these procedures to produce even better results is the Thermage skin tightening procedure. Thermage uses radio frequency waves to stimulate collagen production, which serves to tighten the skin. 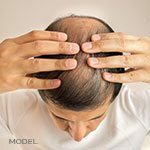 You will continue to see improvement for at least six to nine months after the treatment. This procedure, when paired with one of the treatments mentioned above, maximizes the overall effectiveness to produce the best results. For more information about cellulite treatment, stretch mark treatment and laser lipo (Smartlipo™ & ProLipo) and other cosmetic procedures, please call Cosmetic Dermatology / Pocono Medical Care at 570-296-4000 and visit us online at www.milfordmd.com.